Farm Girl Pink....: ~ Holiday Wrapping... making it all pretty! I was digging through my Mother's gift tag box and came upon this vintage beauty. This would date back to the early 1970's. It is amazing what has lasted for decades in that box. 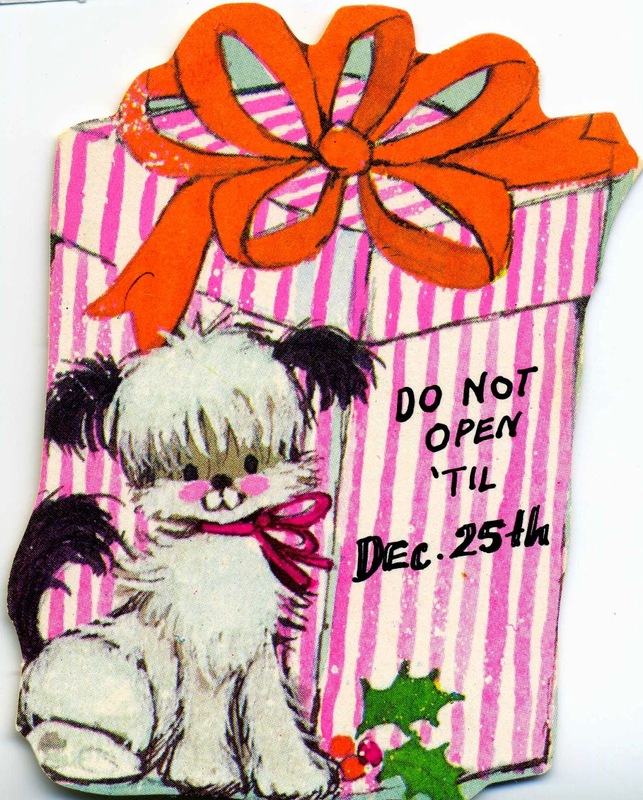 Too bad there isn't any vintage wrapping paper, from that time period, still hanging around. 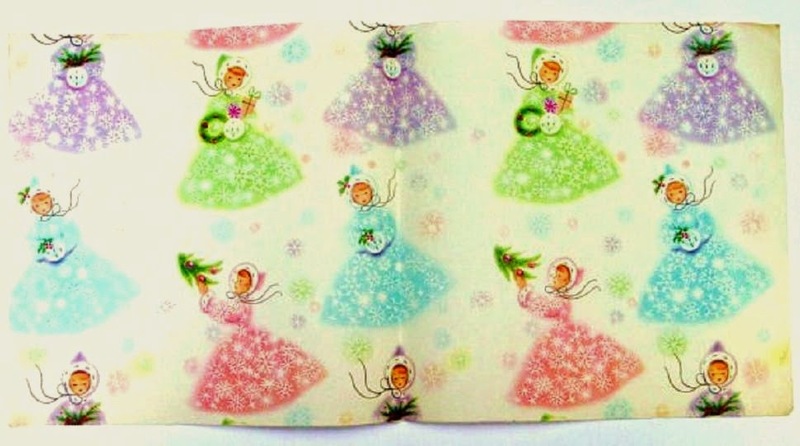 But I did stumble across this lovely pretty girl wrapping paper in Pinterest. Even if I had this to use... I would find it hard to cut it up! But I do have quite a bit of pink & orange colored theme wrapping paper and gift tags. That I hunted down a couple years ago when it was so popular. 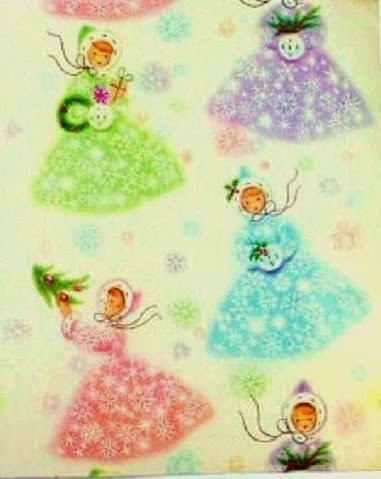 I love cheery Christmas paper that is not in the standard colors of green and red.